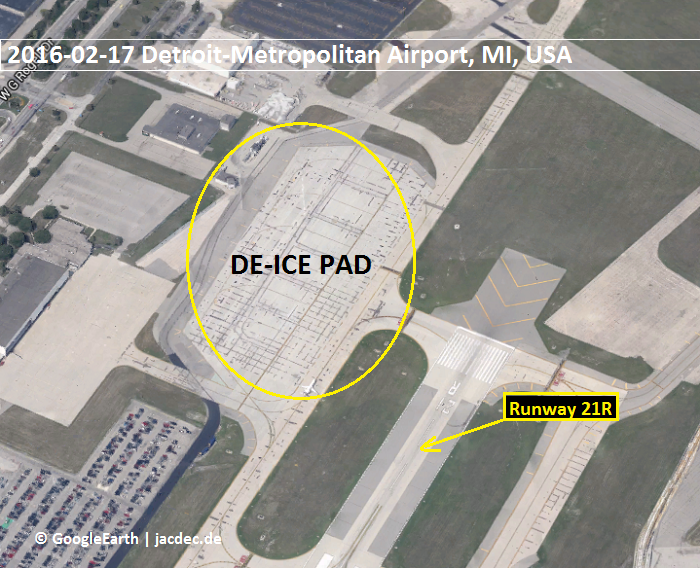 In pre-dawn darkness and light snowfall, American flight 1241 was to taxi to its de-icing position on the de-icng pad next to the northern end of runway 21R, when its right winglet came in contact with the Southwest 737-700 aircraft which was stationary at the time and already undergoing de-icing service. 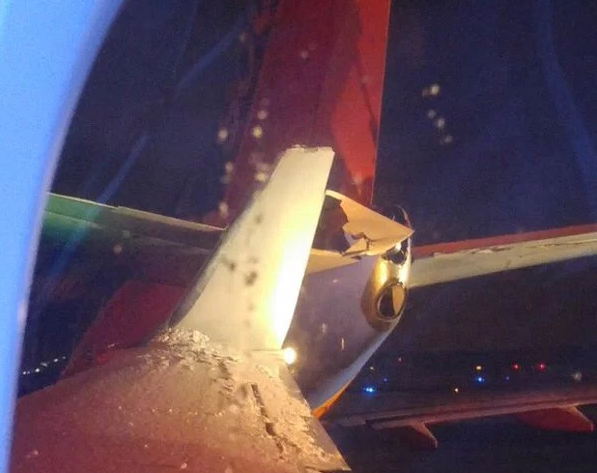 The upper end of the right scraped below the right horizontal stabilizer of the Southwest aircraft leaving a long mark on the lower surface until it hit the auxiliary power (APU) unit exhaust unit. 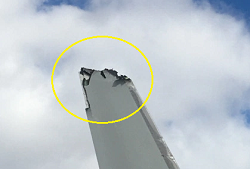 Before the Aermican Airlines 737 was coming to a stop, the upper 20 cm of its winglet broke off. 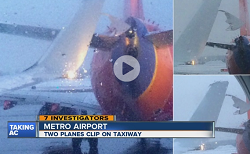 The other 737 receivecd major damage to its tail as well. 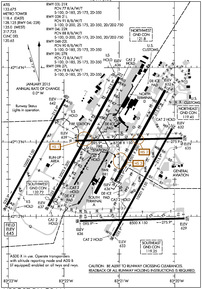 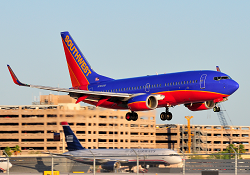 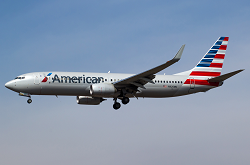 Both 737 were able to proceed to the gates and all passengers deplaned normally.